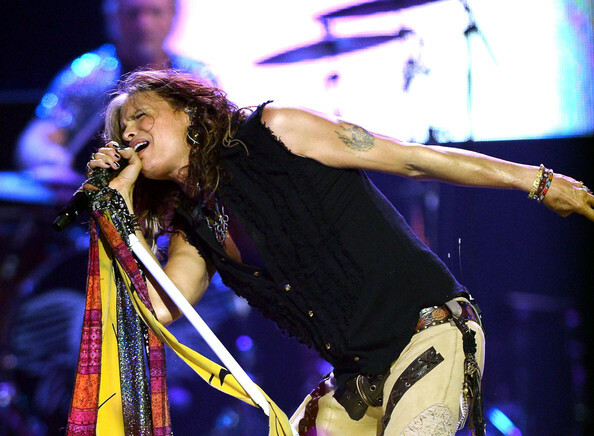 Aerosmith have a long history of hit-making, with a winning streak of Top 40 singles spanning four decades, from 1975's "Sweet Emotion" to 2001's "Jaded." Most of those songs were written by members of the band, but they've also reached outside for material from the likes of pop composer Diane Warren. She provided "Music From Another Dimension!" with "We All Fall Down," another tortured, romantic ballad sung by Steven Tyler: "I will catch you / Never let you go / I won't let you go through it alone."